With every 3 makeup’s get a free day makeup. On every 4 hairstyles, you get a hairstyle free. Sohni Juneja makes sure her client’s makeup makes them all ready for the party. 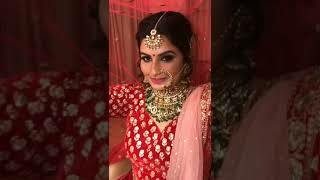 Girls or women, everybody wants to be the center of attraction in the party or on special day, then try out Sohni Juneja’s makeup service. Here, you will get sensational look as she will give you the makeup look that suits you. Get sensational look and let everyone adore your beauty with Delhi best makeup artist at affordable rates. Call us or book your appointment with Top Makeup Artist in Delhi.